99.5% Pure Borax, 0.5% Trace Minerals. Demodex skin mites can cause acne like pustules and blackheads. They can also make your skin and scalp itch. One treatment for body demodex mite issues is soaking in a warm (not hot) bath with 20 Mule Team Borax and Dr. Teal's Epsom Salts - Super Moisturizing Avocado oil. Demodex mites can make your skin and scalp itch. Borax kills them. But don't drink Borax, it could be toxic if ingested internally! You can take an oral Boron Amino Acid Supplement made by Nature's Way (about $7.99 at stores like Sprouts). If you have any serious health issues, like kidney problems this would not be a recommended treatment! The magnesium in the Epsom Salts may be a problem for some health conditions. As long as you are healthy, this soak should be OK. Talk to your physician if you are not sure if this is safe for you. For a standard 5 foot bath tub: 1. Fill tub with pleasantly warm water. If the water is too hot, you may pass out or get over heated. Its not the heat its the borax that will kill the mites. 2. 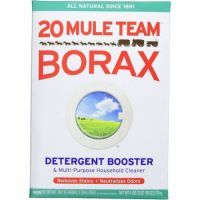 Add 1 cup of 20 Mule Team Borax (available at Kroger for about $3). 3. Add 1 cup of Dr. Teal's Epsom Salts with Moisturizing Avocado Oil (about $5 at Kroger) . This ingredient will make your skin moist but the borax is more important. 4. Swirl the water in the tub and break up any lumps in the borax. 5. Get in tub, use the water to shampoo your hair and scalp too. Borax is a good and simple DIY shampoo. It is also a good water softener. 6. Soak in tub for 30 minutes. You can take a shower after you are done if you like. Some people say that leaving the borax on is better. I've never tried it that way. This soak really soothes itchy scalp and skin caused by demodex mites. Softens skin Super cheap Also good for laundry! Still not certain if it works Abrasive After one month, I'm still undecided in this. My cystic acne has improved a bit, but not as dramatically as I'd hoped. I started off trying to use the sodium borate with water in my hand to make a scrub. OUCH. That didn't feel so hot. Way too abrasive. I settled on creating my own mixture of sodium borate, glycerin, jojoba oil, and some tea tree oil in a glass bottle with a lid. Did I measure stuff out? No, but I did about half and half of jojoba and glycerin to start....then, I added a few drops of tea tree. Then, in a separate bowl, I mixed the borax with water (as much borax as would dissolve in as little water as possible). Added this to the mix. It makes my face quite soft, which is great. Still nsure about acne reduction, though. Still worth a try at only $4! And you'll get a ten-year supply, too. The box is gigantic. Also, bonus: if it doesn't help your acne, use it in your washing machine for ultra-soft laundry. Cheap, scent-free, and natural. Kind of abrasive. I just used this for the first time...and I'm leaving a review only because there were NO other reviews for this! I'll report back in a week, too. The stuff is cheap, although it admittedly feels a little weird buying something from the laundry aisle for my face. That said, it was only $4 for a gigantic box that should last me about a year. I mixed the Borax with water in my hand and applied it to my face. I couldn't scrub with it because it felt too harsh and abrasive. I left it on for about twenty seconds and then rinsed. So far, I can say this: it doesn't burn and my skin is pretty soft after using it.